Part of the Absolute Thai chain. In Sunway Giza Mall, at Ground floor, at the corner of Block D, facing Hong Leong Bank and next to Gong Cha outlet. 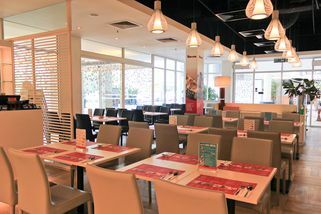 Is at the right side of the main entrance of Block D.
Absolute Thai in Sunway Giza, Kota Damansara is one of the many restaurants by SEA Cuisine. 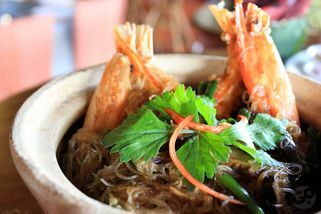 Unlike its other sister restaurants, Absolute Thai portrays a much more casual vibe with its sleek and simple design and kitchen in view of the diners. There are also al fresco seats for customers who prefer to dine outdoors. 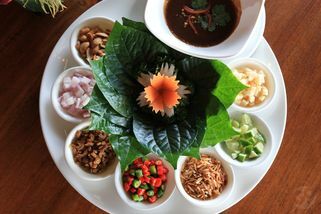 Among the dishes listed in their menu are Mieng Kam (a Thai appetizer of betel leaves and condiments), Fish Cake with Thai Chilli Sauce, Green Curry Chicken, Pandan Leaves Chicken and Claypot Glass Noodle with River Prawn. 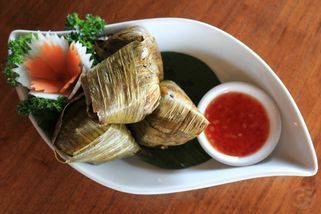 Classics like Tom Yam, Pineapple Fried Rice and Tub Tim Krub or otherwise known as Red Ruby (Water Chestnut Balls in Coconut Milk) are also available. Modernize design store it is not entirely so Thai in this case, we tried out this food store to see if it is "Thai" enough. We ordered the Thai fried rice here, it is hot and spicy and really taste good but however the price is a little bit wee too high for that portions. 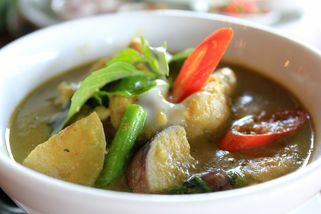 In case you didn't know, Absolute Thai @ Kota Damansara used to be Mr Tom Yam. So if you've eaten here before, it's exactly the same, but different. Where the old interior was mainly white and red, this time they've gone with black. Amazingly, it looks stunning. And it shows as the restaurant was full to the brim. 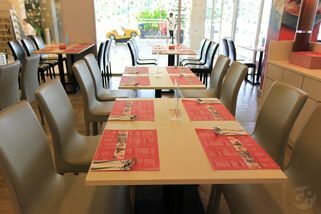 Mr Tom Yam's decor made the whole place look cheap. But with Absolute Thai's new decor, it certainly feels more worthy of its price. From my observation, I don't think they've increased their price though, so that's good. On to the food then - I had Pad Thai (RM15.90). Unfortunately, they ran out of the pad thai noodles, so they had it replaced with Kuey Teow noodles instead. Hmm. It was OK. I guess they didn't anticipate the increase in patronage after the rebranding. My wife ordered clear Tom Yam Seafood (RM15.90). I prefer the normal Tom Yam but my wife seems to really like it clear. It was OK as well. 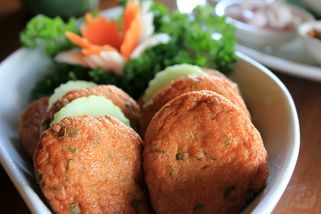 We also ordered Steamed Siakap with Lime & Coriander (RM42.90). This was really good. The fish was fresh and the broth was tasty. For drinks, we had a Thai Iced Tea (RM9.00). It was OK.
As you can see by now, food here don't come cheap. At least, with the new ambiance, it's sort of justified. The service was very good though. Staff were attentive and served you with a smile. If you're around Sunway Giza, do give it a try. Or you could try Bangkok House instead, which is properly Halal instead of pork-free. But I've yet to try it, so can't really comment.